My friend and I had known each other from 6th grade. We sat next to each other in math class, and our friendship started from there. Soon, we would go to each other’s houses every other week to either play Bridge together or just have dinner. By 8th grade, we were almost always side by side because we always chose to sit next to each other in every class. We spent almost every holiday and weekend with each other, whether in each other’s houses or out playing ball. It was the last night I’d be in Shanghai. I moved to the United States the next day, planning to bring all the memories with me and hold on to them tightly. There were too many good times my friend and I shared, too many to count. They ranged from living in a remote city located in the mountains to visiting an orphanage. How could we make this night the most memorable night of my stay? We had just graduated middle school, so we were naturally excited. There was a grand ceremony, with many teachers expressing their congratulations. Many people started crying as the graduation video played, showing photos of all the highlights of the year. There was both a sense of fulfillment and a feeling of nostalgia as the photos played on. Everybody was relieved to have finally graduated, but some didn’t want middle school to end. Still, there a certain feeling of glory when I got my diploma. In order to celebrate, a group of my friends all went to my best friend’s house. We went to the movie theater and watched two movies that night, Now You See Me 2 and Warcraft, leaving around midnight. My other friends were all tired and ready to sleep by then, but my best friend and I had other plans. We wanted to make this moment last. When all of my other friends were getting ready to sleep, we played board games and talked about everything that happened at school, from teachers we hated to girls we liked. We had done this a million times before, but this time the conversation was tinged with sadness. Both of us knew that this period of time was behind us now, yet we clung to it. As soon as the entire apartment was quiet, we got out and started walking to the park. I wanted to go there for one last look. We had spent many hours there together, playing tag and catching dragonflies. This was a custom between the two of us; we tried to catch them every time we went to the park. We had started doing this about a year ago. Every time, we tried to just grab one and hold it in our palms. There was only one way to have chance at catching a dragonfly. If you moved too quickly, the dragonfly would easily dart away and make it even harder to catch, as the dragonfly was now aware of you. Moving too slowly would not work because the dragonfly would not hover or stay in the same area for long. The field was large, so the dragonflies could fly anywhere. Only with enough patience and luck would a dragonfly ever let you get close without darting away. It would take off at the smallest moment and immediately soar above the grass, so as soon as you were close enough to reach out your hand and grab it, you had to do it immediately and precisely, without a moment of hesitation or fear. Only then could you hold a dragonfly in your palm. Somehow, I had never managed to do it. We started walking around four in the morning. Almost nobody was moving about, save an odd worker here or there. The sky had turned from pitch black to a light shade of gray. It was light enough to see every shop; I saw the normally crowded seafood restaurant devoid of people, the tiny laundry shop at the corner, and the convenience store that sold egg custard tarts, disinfecting wipes, and everything in between. I thought there was a sense of peace and serenity in these normally bustling streets. The usually crowded park was completely empty except for us. The field, untended for a while, had some muddy areas and trampled grass. On three sides were wooden walls. The other side bordered a street. A huge iron statue of the park’s benefactor sat in the center of the park. We ran around the field awhile, trying to catch dragonflies as they hovered near the grass. As usual, the dragonflies proved to be too elusive. There was no point in trying to chase one as soon as they were in flight; they could avoid us with ease, zipping around in the air. Still, we ran around for almost half an hour, trying to catch and hold one. By this time, the sky had already begun to clear. I noticed I could start to see the muddy red buildings nearby. The stains of soot on the sidewalk were more visible now. As we both started to realize that the light was growing, we suddenly decided to go see the sunrise. Neither of us had seen a sunrise before, and this seemed too good an opportunity to waste. Without a second to lose, we raced back to the apartment compound. My friend knew a two-story building in the compound that was easy to climb, so we went ahead and climbed up to the flat roof. The day was already getting bright, but the sun still hadn’t come out. Panting, we reached the top of the building and just sat there. The floor was dirty, with dead leaves and dirty puddles from yesterday’s rain. There was a taller apartment building to the right of us. The walls, once white, were now stained and slightly covered in soot. At the edge of the roof was a small tiled wall of the same color of the building that offered little protection from falling. The sun rose above the once-white buildings and apartments. Neither of us talked until we felt the sunlight wash over us. As soon as we felt the sun, we took a picture of ourselves smiling and grinning our heads off to capture the moment. During this particular moment, a strong wave of hope for the future arose within me. I looked at my friend; I was sure he felt the same way. Still, the thing that neither of us said was that this and everything else would become the past–every laugh and joke, every prank, every embarrassing moment. We both wanted to move forward in our lives, and yet at the same time we wanted to hold onto what we already had. All of the next day, I kept the picture in my phone without looking at it. It sat there while I checked all my bags, while we drove to airport, while I said bye to my dad and grandparents. It was not until I was on the plane that I looked at this picture again. Suddenly, I realized all that I was leaving behind. It was a bittersweet feeling. I smiled when I remembered all the good times we shared, but these moments were only memories now. Still, looking at that photo, I felt that we both shared a strong and special bond that day. It was a bond that neither time nor space could ever dull. It was a bond of friendship, and this time we had caught it perfectly. • Got B’s in English? • Want to start preparing now for the SAT, college, and leadership in the workplace? • Worried that your child’s English class is too easy? There’s no substitute for experience and expertise. 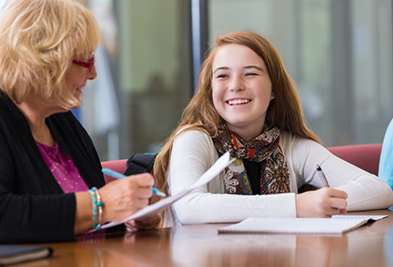 Our tutors and our program help you make steady progress toward success. Don’t wait until it’s too late to make significant improvement.